A personal response to a recent Mental Elf blog, written Doctor Sameer Jauhar and Doctor Joseph Hayes, entitled: ‘Antidepressant withdrawal: reviewing the paper behind the headlines’ which criticised the results of a ground-breaking systematic review of the incidence, severity and duration of antidepressant withdrawal effects, undertaken by Doctor James Davies and Professor John Read. I write today as someone in the midst of a punishing and lengthy withdrawal from an antidepressant drug. I also write as someone who had no chance to understand that this gruelling and life-changing experience was ahead of me because my prescriber did not give me the information I needed to make the best decisions for my future health and wellbeing. When I became aware that academics were taking an interest in this issue and were prepared to undertake work to quantify the size of the problem, I was pleased and relieved. Finally, after decades of being ignored, the issues that so many of us struggle with each day were being investigated from an academic viewpoint. I followed publication of the review undertaken by Doctor James Davies and Professor John Read in the journal Addictive Behaviors1 and I also took note of the critical response written in a recent Mental Elf blog2 by Doctor Sameer Jauhar and Doctor Joseph Hayes. The critical commentary on the review constituted a long list of purported methodological concerns written in a rather condescending tone, seemingly designed to leave the reader with doubts about the findings of the review. The main thrust of the criticism seemed to be “we don’t know what the number experiencing withdrawal is, but we do know that the number in your survey is incorrect”. This is misdirection in the extreme. To criticise a review without providing any evidence that advances the discussion feels like a thinly veiled attempt to keep a lid on a problem that psychiatry would rather ‘went away’. This dismissal harms patients, delays them getting help and prevents progress and understanding for both doctors and patients alike. It is simple arrogance to dismiss the experiences of those that struggle with the drugs while attempting to discredit work that elucidates the problem, and to do so in clearly dishonest ways (as Davies and Read’s rebuttal aptly illustrates). Many problems in medicine have been tackled long before insisting that we need a ‘ten-decimal-place’ precision understanding of the issue before we will react. This unjustified and distracting pedantry almost feels designed to pull attention away from the size and importance of the issue at hand. I feel that it is unforgivable that psychiatry does not have a handle on the scale of this problem. In England, we prescribed 67.5 million antidepressants in 2017.3 To not have understood what proportion of those prescribed the drugs will struggle coming off them is a significant and alarming gap in the evidence base. Psychiatry does not seem to understand the issue and seems unwilling to engage in any work to investigate or clarify the issue. It is therefore difficult for someone in my position, who has been told repeatedly that what I am experiencing ‘is not possible’ to view this reticence as anything else but an orchestrated, purposeful denial. This denial is not only failing patients, but it is also failing all the GPs who have to respond to people visiting their local surgeries complaining of symptoms consistent with dependence and withdrawal. Psychiatry should be guiding GPs and other mental health professionals not denying the problem. Anecdotal though it may be, a cursory look at Facebook and online support groups for SSRI withdrawal4,5,6 tells us that something huge is going on here that psychiatry remains disconnected from. The long-standing website Surviving Antidepressants, for example, receives around 150,000 visits per month7. For psychiatry to deny the problem is a failure in their duty of care and a slap in the face of those who experience dependence and withdrawal. The fact that Professor Read and Doctor Davies’ review included several large self-report surveys seemingly disturbed Doctors Hayes and Jauhar but gave me the confidence that people had been able to express the reality of living with antidepressant drugs day to day and the freedom to define their experiences free from the artificial, sanitised conditions of randomised controlled trials. It pains me greatly that the personal experience of many thousands of people is dismissed as ‘anecdotal’ and therefore not fit to be part of the evidence base. Arguably, anecdotal experience is often far less compromised than supposedly sterile controlled trials. The motivation for people reporting withdrawal experiences is to seek help, support and understanding, not, like so many ‘researchers’, to sell drugs by demonstrating the superiority of the drug produced by the company funding the study. It is time we had a more mature debate about the limitations of our evidence base and the richness that could be added by bringing lived experience in from the cold. It is also well past time that psychiatry grasped the nettle, stopped the denial and valued the experiences of the millions of us, worldwide, who have had a less than helpful encounter with antidepressant drugs and are finding it very hard to get off them. The denial of antidepressant withdrawal that we are witnessing is rather reminiscent of the denial of benzodiazepine dependence of the 2000s8. Let us hope that it doesn’t take another twenty years to accept the same problems with antidepressant drugs. Having accepted the problem, we must then urgently address support and solutions. Hopefully, the Public Health England review9 will be the appropriate mechanism to deliver that support. Davies J, Read J. (2018) A systematic review into the incidence, severity and duration of antidepressant withdrawal effects: Are guidelines evidence-based? (PDF) Addictive Behaviors. 2018, Sep 4, https://doi.org/10.1016/j.addbeh.2018.08.027. NHS Digital. (2018) Prescriptions Dispensed in the Community – Statistics for England, 2007-2017. NHS Digital (Online). Available from: https://digital.nhs.uk/data-and-information/publications/statistical/prescriptions-dispensed-in-the-community/prescriptions-dispensed-in-the-community-england—2007—2017 [Accessed 12 December 2018]. (2018) Average visits to www.survivingantidepressants.org Jun to Nov 2018. https://www.similarweb.com/website/survivingantidepressants.org#overview. [Accessed December 12, 2018]. (2011) Doctors Sued For Creating ‘Valium Addicts’. The Independent, 29 December 2011. (Online). Available from: https://www.independent.co.uk/life-style/health-and-families/health-news/doctors-sued-for-creating-valium-addicts-6282542.html [Accessed December 12, 2018]. The Serious Fraud Office Is A Serious Joke..
“….Although the SFO announced in 2014 that GlaxoSmithKline was under investigation, the SFO never disclosed the subject matter of that investigation. In its only announcements about the case, the SFO has noted simply that the investigation concerned the company’s “commercial practices.” In 2012, GlaxoSmithKline had paid $3 billion in the U.S. to settle charges brought by U.S. prosecutors concerning alleged off-label marketing, and in 2014 was convicted in China of bribing doctors and hospitals to improve sales, but it remains unknown whether the SFO’s investigation related to one of these known issues or something different. It has become known to me -via an anonymous source- that some UK newspapers are perhaps fling Freedom of Information requests (FOI) on the serious fraud office (SFO) investigation into GSK in the UK. It seems that many people (myself included) do not believe the official story from the SFO; that there is not sufficient public interest, or a chance of prosecution, in the GSK case. It beggars belief as to why the SFO would waste 5 years of public money, manpower, and resources, on what was tipped as one of their biggest UK cases. I expected this whitewash with the SFO and GSK as I know that GSK are the UK’s Golden Goose, and the high executives in the company have many links to government and are well protected, however I didn’t expect such a limp excuse in the end. There is obviously huge public interest in GSK’s wrongdoings, therefore to say there isn’t public interest in this case, is a flat out lie. On this blog alone, there are thousands of blog posts documenting GSK’s bad behavior. Whether there is sufficient evidence to get a conviction or prosecution of GSK, is not known, because the SFO itself is far from transparent. Why can’t the public see the details of the GSK case? I have it on good information that the SFO case involved perhaps hundreds of people being interviewed/investigated etc. Apparently, scores of SFO staff have been frustrated by the lack of resources, and the GSK investigation has been a toothless and a revolving door since its very beginning, with people repeatedly being pulled off the case and assigned to others, and a significant number of staff quitting the SFO out of concerns for their careers and moving to better jobs. It seems to me that like many UK institutions, such as the MHRA, the SFO is another quango; a front to protect industry, the elite and government interests. GSK the cash cow was never going to be scrutinized in England, particularly in a Brexit-world. The UK government has made damn sure that the SFO remains impotent. There is no real justice, just an illusion of one. It seems that the SFO itself needs to be investigated, as it seems it’s deliberately under-staffed and non-transparent. The leadership also should be under the spot-light as ultimately it rests with them. When we have companies like GSK allowed to operate above the law, this undermines law itself and damages the public. What can we learn from the SFO’s decisions? The SFO’s record on high-profile criminal investigations into some of the UK’s biggest business names is troubling and puzzling for both lawyers and businesses and raises significant questions about the DPA process. We have seen, under the weight of SFO investigations, big business paying hundreds of millions of pounds and entering DPAs to avoid prosecution for what companies accept to be the criminal actions of employees. In November 2018, Lisa Osofsky, now six months into her five-year term as Director of the SFO, spoke at the 35th International Conference on the Foreign Corrupt Practices Act in Washington DC. Ms Osofsky spoke about corporate cooperation, saying that prosecutors want full cooperation and assistance to find the truth in corruption cases. Yet, defence lawyers will be aware that the price of cooperation for some corporates has been hundreds of millions of pounds in financial penalties and enormous reputational damage. Key executives have had their careers cut short and their lives ruined by allegations which have not been proved against them. Corporates under investigation by the SFO will now be asking themselves, what is the true price of cooperation and is it worth it? on youtube, it describes events that indicate all is not as it seems at the SFO. Great post from Dr Peter Gordon about story telling/propaganda and narrative controllers. When we have the key opinion leaders in academic psychiatry whoring themselves to industry – so which message are they really marketing? the truth? the facts? or corporate spin? Telling stories is a well established approach taken by the commercial sector. “Soft power” is still power. Telling stories is not always the same as telling the truth. The shaping of policy “behind closed doors” excludes wider scrutiny. The power stays with the “narrative controllers”. “….The Serious Fraud Office (SFO) has dropped its investigations into aerospace firm Rolls-Royce and drugs giant GlaxoSmithKline. The SFO said there was “either insufficient evidence” or it was “not in the public interest” to continue. Rolls was being investigated over concerns about bribery and corruption, which led the firm to enter into a deferred prosecution agreement in 2017. GSK’s probe concerned “commercial practices” at the company. “…The new director of the Serious Fraud Office (SFO) has recused herself from its criminal case against bankers at Barclays, one of the agency’s flagship prosecutions, because of a potential conflict of interest. Private work done by Lisa Osofsky before she joined the SFO in August has prevented her from supervising the case, relating to the bank’s emergency fundraising from Qatar in 2008. It’s interesting how China is always held up as the global emblem of dystopian- state control over its citizens , and there is no doubt that it deserves that hardened image, however, I have always believed that the UK (and the financial behemoth of the city of London in particular) has always been just as bad-if not worse- in terms of how it controls and manipulates the UK population. The UK is just as corrupt and sinister as China, it’s just that the UK’s murky dealings are covered up in a veil of sham investigations that protect corporate interests whilst appearing to seek redress for the public, revolving doors between UK corporate employees and fake ‘independent’ public bodies, quangos and the like. The UK grafts a polite, sophisticated, civil front of illusionary democracy to the public while underneath the facade- the elite, and the insiders- make damn sure that the corporatocracy reigns (free from pesky inconveniences such as the law of the land etc). The law simply does not apply for some. The British empire might be gone, its last vestiges of an imagined Great Britain currently caught up in Brexit nightmare, however the colonization of the working class, and the ordinary UK citizen/consumer in England has been thoroughly successful and ongoing. The elite interests reign supreme, the class system remains intact and stronger than ever, and the life and dreams of the common man brutalized, controlled, manipulated, bought, sold, and owned, like a commodity on the stock exchange. This isn’t just applicable to the UK of course, it’s almost everywhere now. It’s global. The corporate take over of our entire lives, which began in the merchant capitalism of colonial times, and solidified the 20th -and now 21st century -into a financiers ultimate fantasy- is thoroughly complete. Human rights are merely a dream. Forget about notions of social justice. After 5 years of investigating GSK, the serious fraud office has decided to close the case? Why would the serious fraud office do this? why would it waste our time, the public’s time (money and resources)? It seems to me that these corporate investigations are nothing but a sham, and a charade. GSK were caught operating two serious fraud operations in both China (in 2014) and the US (in 2012). In both jurisdictions they were fined: 3 Billion in the US, and half a billion in China, and there were allegations of bribery networks across the globe, from Iraq to Poland. These were extremely serious crimes that involved (among other things) the concealing of side effects which led to the deaths of consumers. Technically, GSK could- or should have- been trialed for corporate manslaughter at least (for Avandia and Paxil/Seroxat in particular). It seems to be that the UK authorities have decided to let GSK off the hook (once again). These are dangerous precedents to set for a corporation like GSK. It gives the public the impression that corporations can get away with corporate crimes, and it gives GSK the impression that they have free reign to do what they like and get away with it. But perhaps that actually is the message that the SFO is trying to portray? who knows? One thing is for sure though, this is wholly morally wrong and deeply unethical. GSK’s litany of corporate crimes goes back decades, and they are ongoing. Just last year a whistle-blower from India contacted me about bribes and fraud in GSK’s India division, the Evening Standard published an article on it (see here), and this happened in the middle of this SFO investigation, yet this year- GSK are allowed to get off scot-free? I have documented all of GSK’s crimes on this blog, in over 1000 blog posts for 12 years, and others such as Bob Fiddaman have blogged about it too. It seems to me that GSK have the approval of the UK state to do as they like, without any fear of recourse, even if that behavior entails bribery, fraud and the manslaughter of innocent consumers. If this happens with GSK, does it happen also with other multi-billion pound UK multi-nationals? You can be sure it does. One case to watch out for next for GSK- is the Thomas Reilly case. GSK has been putting the public in danger due to contaminated and defective drugs for decades (see here). This scandal is not even really fully breaking into the discourse in the mainstream media. However, it’s certainly something which could be the biggest scandal that GSK has had to face so far. How many people does GSK harm every year through this misconduct alone? The answer is anyone’s guess, but if I was to hazard a guess myself, I’d say tens-if not hundreds- of thousand of people- are affected. GSK’s manufacturing processes are as dodgy as everything else they are involved in. As usual, it’s up to bloggers to keep an eye on these things as the media doesn’t seem that interested.. However, if any journalists happen to be reading this blog perhaps they could dig deep into the SFO investigation of GSK and find out why this investigation was closed down? Is it possible to access the details of the investigation, files from the SFO etc? This seems to me like a very vague, and glib statement to make after 5 years of investigation. It seem also to me, that we don’t even know which it is, or why? Was there insufficient evidence, or was it not in the public interest to prosecute? or both? what was the basis of this judgment? This is a joke folks. Activists accuse Chinese state media of human rights violations, for televising confessions they allege were forced. Peter Humphrey had been held by Chinese authorities for almost two months when he says he was sedated and brought before television cameras to “confess” in August 2013. Human rights activists say Humphrey, a British corporate investigator who was jailed for almost two years in China, is just one of dozens of alleged lawbreakers who have been subjected to this kind of treatment since 2013. Some former detainees are now speaking up. They say their confessions were extracted under duress and that law enforcement officials dictated what they could or could not say. These accusations come to light amid an ambitious expansion plan by CGTN, the international arm of China’s state broadcaster, CCTV. A global recruitment drive is under way, and a new European hub is set to open in London. But there are now calls for the UK’s media watchdog to refuse the Chinese broadcaster’s request for a license because activists say it has collaborated with Chinese authorities to broadcast forced confessions. Anti-corruption campaigners have criticised prosecutors for closing a long-running investigation into the payment of multimillion-pound bribes by Rolls-Royce. The Serious Fraud Office (SFO) announced on Friday that it had shut down its investigation to establish which senior executives were responsible for paying huge bribes to secure export contracts for Rolls-Royce, without charging anyone. Two years ago, the multinational apologised and paid £671m in penalties after admitting large-scale bribery across three continents over three decades. However, the SFO continued investigating whether senior executives should be prosecuted. A leading judge had found that the “truly vast corrupt payments” had, on the face of it, implicated senior management. One of those whom the SFO had interviewed under caution was the former chief executive Sir John Rose. He had denied wrongdoing. Campaigners at the anti-corruption group Transparency International said the closure of the investigation meant justice had not been served. The SFO also announced on Friday that it was closing down another major investigation into alleged corruption, by Britain’s biggest drugmaker, GlaxoSmithKline (GSK). Lisa Osofsky, the SFO’s director, said: “After an extensive and careful examination I have concluded that there is either insufficient evidence to provide a realistic prospect of conviction or it is not in the public interest to bring a prosecution in these cases.” She gave no further details of her decision. In January 2017, Rolls-Royce had agreed to pay the penalties after admitting it had systematically used intermediaries to pay bribes to foreign politicians and officials to secure export contracts. Sir Brian Leveson QC, the president of the Queen’s bench division of the high court, approved the terms of the agreement between Rolls-Royce and the SFO, which had been investigating for five years. Leveson had found what he called “egregious criminality over decades”, adding that some of it “implicated senior management and, on the face of it, controlling minds” of Rolls-Royce. The multinational admitted paying bribes in Indonesia, Thailand, India, Nigeria, Malaysia, China and Russia between 1989 and 2013. An investigation by the Guardian and the BBC reported in 2016 that Rolls-Royce had hired intermediaries to help it secure high-value contracts in at least 12 countries. Under the agreement reached with the SFO – known as a deferred prosecution agreement (DPA) – Rolls-Royce admitted wrongdoing and submitted to various measures to monitor its conduct over a specified period, and in return avoided being prosecuted as a corporate body. Transparency International said that such DPAs were only successful when followed up with individual prosecutions against those responsible for the wrongdoing. Rolls-Royce reached similar agreements with prosecutors in the US and Brazil in 2017. In contrast to the UK, the US Department of Justice announced two years ago that it was prosecuting five individuals for bribery, including two former Rolls-Royce executives. The SFO’s investigation into GSK started in 2014 and had centred on payments to Chinese doctors to use its drugs. The company had been earlier fined 3bn yuan (£342m) by Chinese authorities over the payments. Interesting news today regarding the Serious Fraud Office UK investigation into GSK. This investigation began 5 years ago and it was prompted by GSK’s fine of almost half a billion euro due to its massive China bribe scandal in 2014, and also its 3 Billion fine for fraud in the US in 2012. There were also reports of GSK bribery and fraud scandals in many other countries, including Yemen, Iraq, Poland, the UAE and other countries. I was even contacted through my blog by an Indian whistle-blower from India recently about ongoing allegations there. I am not surprised that this case has been dropped. I said this a few years ago in a blog post. I knew it would come to nothing. The reason why I never had any faith the the SFO bringing GSK to book in the UK is because the UK always protects GSK, it doesn’t prosecute it. This is because GSK, and its head executives, are a cash cow for the UK economy. They are too big and too powerful to prosecute or even to scrutinize. GSK provides so many jobs, and brings so much revenue to UK shores, it was never going to be affected by the mere inconvenience of these fraud scandals. The UK government protects GSK’s share price, because GSK’s share price has a direct impact upon various sectors in the UK economy. Furthermore, GSK’s executives, such as Andrew Witty and now- current CEO- Emma Walmsley are in direct liaison with top government officials and even the prime minister. The UK does not shake the elite, and it certainly doesn’t prosecute them. It will be interesting to see how the media report on this, and if any of the contents of the 5 year long GSK investigation makes it into the public domain, or perhaps like all things GSK related in the UK, the dirty and scandalous facts of GSK’s illegal wrong doings will be hidden, suppressed, concealed, and it will be just business as usual. GSK were at one time- investigated for suppression of info on Seroxat and its lethal effects on kids, by the MHRA in the UK, and that investigation ended after a similar time frame, and also with a similar weak and meek statement on why it came to nothing. The people of the UK should really wake up to the fact that they live in a deeply corrupt classist corporate run society; one that protects elite business interests above and beyond the human rights of the ordinary person: it’s been this way for a very long time. Check out how similar the concluding statements are on both these investigations on GSK in the UK. It’s clear to me that GSK are permitted to operate above the law in the UK. More than 20 people who used the anti-depressant Seroxat (paroxetine) in their youth will make a formal claim against the maker GlaxoSmithKline at the end of this month, the Volkskrant said at the weekend. They say that GSK failed to inform them about the serious psychological side effects of the drug, including aggressive behaviour and an increased risk of suicide. The SeroxatClaim foundation was set up last year after a Dutchman who took the drug while a youngster successfully sued GSK for the side effects he suffered. The side effects were not put down to the drug because they were not noted in the information leaflet provided with the medicine, even though GSK was aware of them, the court said. GSK is appealing against that ruling and declined to comment on the new court case, the Volkskrant said. In the meantime, the information leaflet has been amended and the drug is no longer prescribed to the under 18s. In 2012, The United States Department of Justice fined GlaxoSmithKline $3 billion for withholding data on paroxetine, unlawfully promoting it for under-18s and preparing an article that misleadingly reported the drug was effective in treating adolescent depression. Bob Fiddaman has published his (abruptly ended) correspondence with Psychiatrist Carmine Pariante (see here). Carmine has long links with Pharmaceutical companies (including GSK see here) therefore, it is unsurprising to me that he is willfully blind and ignorant to those who suffer side effects (including death and disablement) from these meds. This is a common attitude among careerist bio- psychiatrists like Carmine. Those with links to pharmaceutical companies are paid and endorsed by Pharma because of their (pro/positive) stance on the drugs. They believe in the Pharma spin, which furthermore attracts more sponsorship from more Pharma. It’s a win win for both. “…I accept that it is possible that some patients might have died as a consequence of taking antidepressants, and my heart goes to them and to their families. But these, as tragic and sad as they are, are very rare events. Carmine’s line of thought around the dangers of anti-depressants seems to envisage a scenario where one person might die from taking an SSRI, but multiples of others might be saved (a kind of ‘for the greater good-theory’), therefore that one person’s life is sacrificed for the benefit of the others who are ‘saved’ (or for the benefits to the ‘community at large’). This gamble seems to amount to a kind of god-like decision on the part of the psychiatrist to prescribe the drugs whereas at the same time- the patient is given a Roulette style risk or a so called ‘choice’. However this isn’t really a choice, because the person deciding to take the drugs, is extremely vulnerable, desperate and (more often than not) also grossly misinformed about side effects and potential harms. There is no real choice in this scenario. It’s an illusion of choice. We don’t have access to the data about the drugs, nobody can see it, only the pharmaceutical companies themselves. The trials are based on short term studies (merely a few weeks) , and therefore they do not accurately portray the real risks when we take into account that most people are on these drugs for years. We simply do not know the full risks of these meds because we cannot access the data, and because the Pharmaceutical industry controls the whole process too. We have seen time and time again, with many drugs, not just psychiatric drugs, that Pharma has been dishonest with revealing true info on side effects- often we only find out the risks many years after many people are harmed. Many of Carmine’s pharmaceutical ‘sponsors’ have in fact been fined billions for felonies involving just that kind of behavior (see here). This fact (along with the many other glaringly obvious facts) seems to be lost on Carmine, or perhaps he just doesn’t care? either way, it undermines his view when you take all this into consideration also. Carmine admits to Bob that he hasn’t really got any knowledge on the regulatory process, but he goes on to state that he fully trusts the whole process. He seems to think that the studies are sound, however doesn’t show us any proof that we can access the data to analyze whether the data/studies are good or not, or that the data is even reliable at all. I fear, that like the royal college president- Wendy Burn, and many of his other bio-psych colleagues-Carmine is deluded, and willfully blind. It seems he has invested so much of his life in his psychiatric career, pharma sponsorship, and touting hogwash about the drugs to all and sundry, that when faced with a real challenge, (for example- being questioned by a knowledgeable patient advocate like Fiddaman on access to raw data) he crumbles, and takes everything personally, and the conversation stops. “…The NICE or other experts panels have access to published scientific data which today is presented with excellent ethical and professional standard – because of the new rules and regulations, and also because of a change in culture about data transparency across scientists, pharmaceutical companies and regulatory bodies. Carmine dices with the fate of his patients every time he prescribes them a psychiatric med. If they die (commit suicide from akathisia or any other side effect), he sees it as mere consequence of the risks that are inherent in medicine in general. He doesn’t see it as a scandal that a vulnerable person prescribed meds for a ‘mental illness’ was made worse from that med. He sees it as merely part and parcel of medicine. Furthermore, he seems to think that the data, the trials and the research, is/are robust and sound, despite the fact that it has been proven that it isn’t -particularly so when we cannot access the raw data, and therefore we have no real accurate info on risks. The info that we have on risks is startling enough (see the PIL on Seroxat for some shocking stats) – I can only imagine what the real risks are though, considering that the felons of Pharma (Carmine’s sponsors) have been caught many times hiding/lying about it. Carmine touts the benefits of drugs with absolutely no access to the raw data on trials about the drugs. The studies touting benefits are biased mostly (flawed mostly also), and also of too short a duration to quantify accurate risks, yet this totally unscientific approach seems to be good enough for Carmine and therefore good enough for his patients also. This is a seriously flawed and dangerous approach. Is it no wonder that so many people have been harmed when you look at this scenario? Of course the Irish Government indemnified GSK against any liability prior to approving the vaccine.. The number of people presenting with symptoms of narcolepsy from the swine flu vaccine Pandemrix has soared by more than 20pc in the wake of an Irish Independent exposé. Support group Sound said they were dealing with around 100 families whose children had taken Pandemrix but more than 20 new families have contacted them in the past six months. 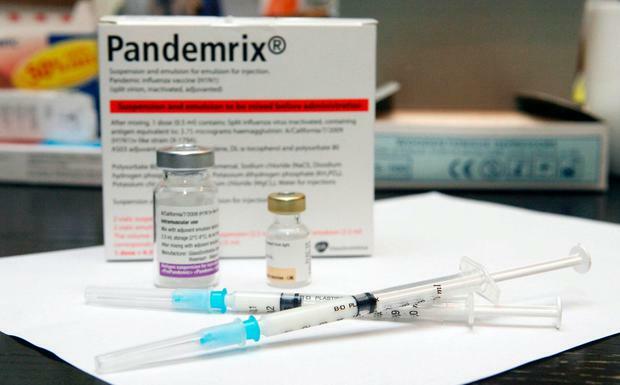 A major Irish Independent investigation in August revealed some children received a double dose of Pandemrix when swine flu vaccine stocks were used from January 2011 amid fears of a winter flu jab shortfall. Thousands received a single vaccine dose in 2009/2010. But the 2011 re-issue was almost two years after research data showed indicators that Pandemrix had, in the case of narcolepsy/cataplexy, up to 13 times higher rate of adverse incidents than other vaccines. “We still do not know how many Irish children received Pandemrix when it was re-issued in 2011,” Sound co-founder Tom Matthews said. “After 10 years we were shocked to find that some of the new cases involved previously undiagnosed narcolepsy. A test case is due before the High Court in October with many of the 75 actions being handled by solicitors Michael Boylan and Gillian O’Connor. 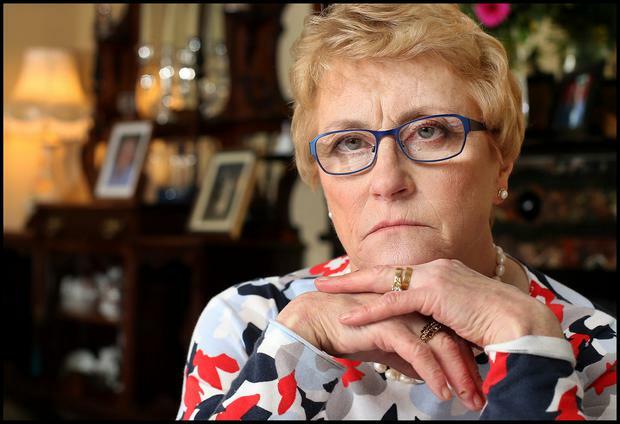 “The fact that the general public were not made aware by the Health Minister or HSE that Pandemrix was untested, prior to or even during the vaccination programme as adverse data emerged, is one of the reasons why we have now served the State defendants with claims for aggravated and exemplary damages,” Ms O’Connor said.